Forget about relaxing: it’s a superheroes’ holiday! 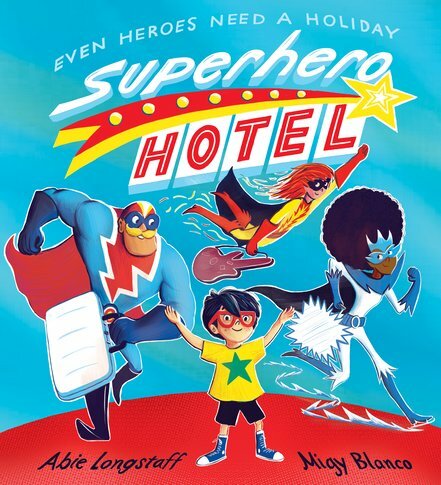 The Superhero Hotel is a top-secret place where the world’s caped crusaders come to relax after a hard day saving the planet. It’s their chance to kick back, switch off and take a break. There’s just one problem: superheroes hate relaxing! They soon get bored of having nothing to do, so they decide to help out in the hotel. Trouble is, they’re even more rubbish at helping than they are at relaxing! Now our heroes have created a REAL crisis! Can they save the hotel before it’s too late?